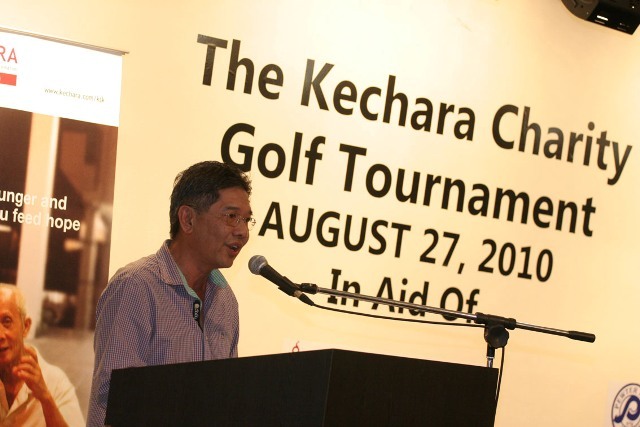 Kechara Charity Golf Tournament – A HOLE IN ONE!! 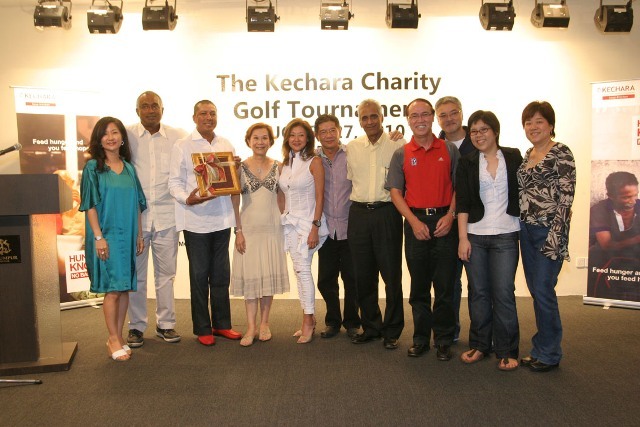 Yesterday, at the prestigious Kuala Lumpur Golf & Country Club, Kechara held a golf tournament to raise money for KSK! It was through Datuk Khoo’s efforts that this was a major success! 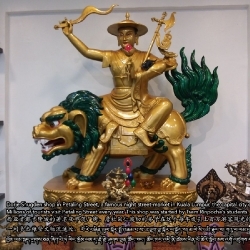 Together with his friend, Mohan Cheong, they both decided to tap into their group of friends to collectively help raise money for a worthy cause, Kechara Soup Kitchen…how nice. Datuk Khoo does have a very soft heart and is willing to give his efforts into this great event. Jamie’s parents, Datin and Datuk Khoo always find different ways to help support her daughter. When Datuk Khoo told his daughter about the idea…she was so excited! She gathered a committee to represent Kechara, which was Ruby (President of KSK), Datuk May (President of Kechara House) and Sharon (senior editor in KMP). 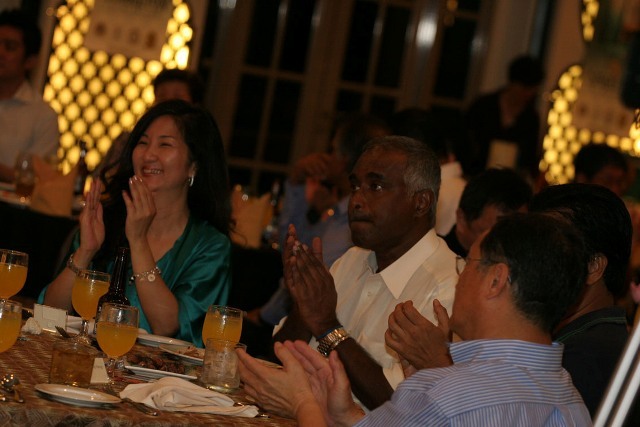 Together they worked with Datuk Khoo and Mohan Cheong to get sponsors and help sell flights! Flights in golf are teams of 3-4 people…not the airplane flights hehehe. 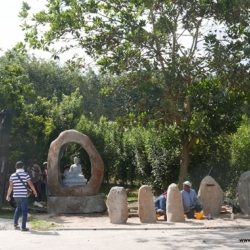 I sponsored some statues to be auctioned at the event..and it helped to raise RM111,500!! 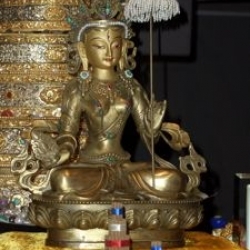 I even heard from Jamie that some people were “fighting” to bring Buddha home..how fun! hehe. Some people said that they felt very drawn to certain statues.. I’m so happy to hear this. Not only were they at the tournament to help raise money for charity, but they also made that connection with Enlightened Beings that day..
A lot of Kechara people went to help yesterday! 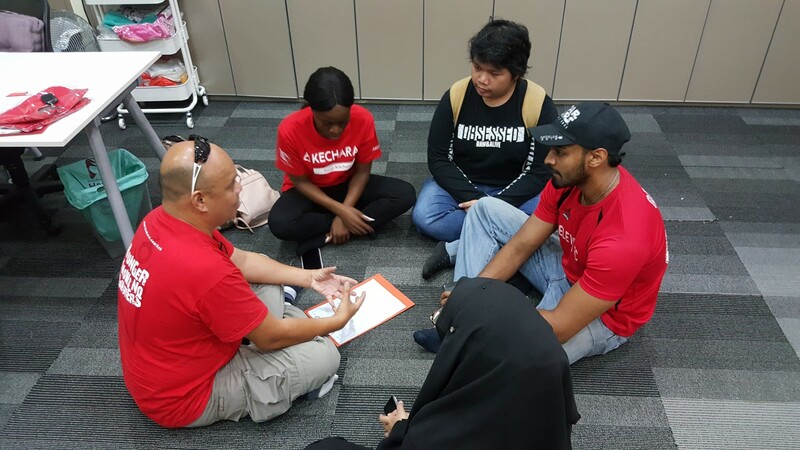 Those working in KMP, KSK and Kechara Care (KC) were all there to help put in their efforts to make it work! 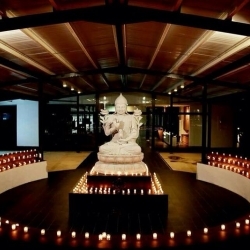 I love to see how people in Kechara really support each other in the ways that they can. They really push themselves to help, out of their “working time”. 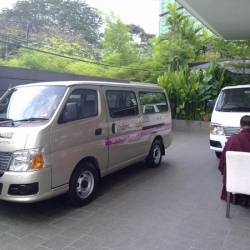 How selfless…some Kechara volunteers stood at ‘halfway houses’ to give out fruits and drinks to the 98 golf players!! … some helped set-up the dinner banquet….some helped set-up the registration booth…some helped to run the event…some did ALL!! How amazing… I must thank Datuk Khoo for his energy, efforts and great contributions to this event which benefits Kechara so much. Jamie loves her father so much and Datuk Khoo loves his daughter very much which has resulted in such a wonderful sporting-charity event. I humbly thank Datuk Khoo, his friends, well-known TV Journalist Lorraine Hanh, Mohan Cheong, The Singapore Ambassador, KMP and all involved in this noble cause. Ms Lorraine Hahn so graciously flew in from Hong Kong just for this event. What a very kind lady. Thank you so much Ms Hanh for helping us. You are not only talented and intelligent, but very kind. This was Jamie’s first charity event in Kechara ever. But she has NEVER organized any events nevermind a charity event. She did it and with her father backing her up all the way for KSK. She was nervous and scared, but she did it!!!! She pulled it off very nicely…Wow!!! People at the event were overheard saying it was done very well. Well Kudos to Jamie!! This was her first (not last) event and it was a smashing success. I am proud of Jamie coming into her own like this. I am proud she and her father did something so wonderful. I’m so happy to hear how well the event went..all that fun will help pay for food for the homeless and help run the new KSK building. Yesterday raised approximately RM300,000…congratulations everyone!! Many homeless will get warm food, light medical treatment, umbrellas, raincoats etc from us. We wish to get a fleet of vans in the near future to also do even more deliveries every weekend. Although we have a soup kitchen, not all the homeless can get to our soup kitchen, but we would like to bring the food to them. Everyone would like to have a full stomach. Hunger pangs are what we wish to eliminate..maybe even a little more like some human warmth, care and conversation too. The homeless need it. We need it. Some of the players on the turf! They were interviewed by media people all day! I'm sure journalists wanted to know why these giving people wanted to help raise money for charity. Jamie (second from left) squinting coz of the sun!! It was a nice sunny day! 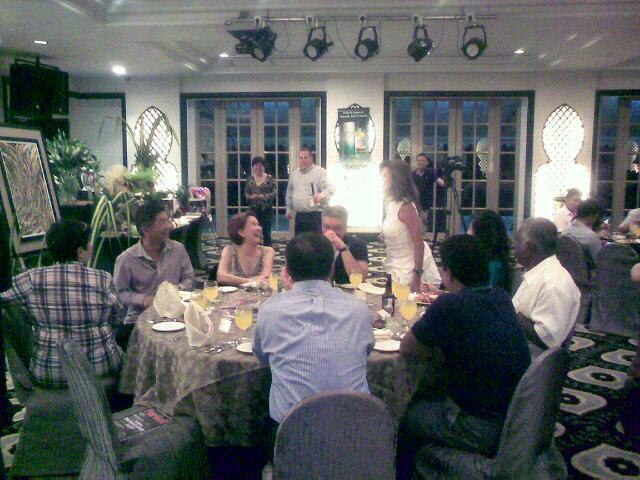 To the left of Jamie is Justin Cheah of KSK and to the right is Sharon and David Lai. The golf team from Kechara Media and Publications or KMP!! Yes Jamie roped in our team from KMP to be there the whole day to help out. Don't they look great. And most of them had not slept the whole night...working and meeting. I am proud of them. 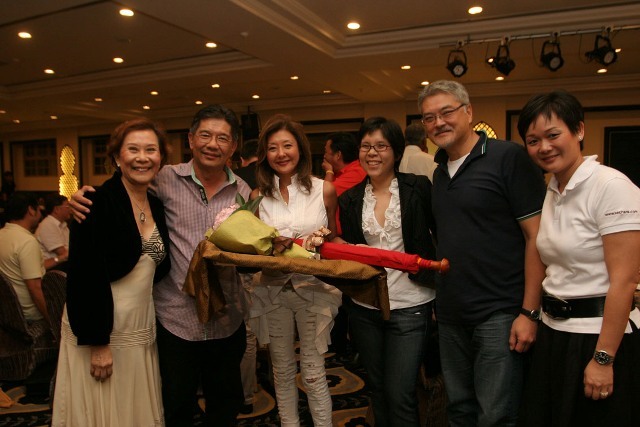 We have from left to right: Dr Lanse, Fang, Deborah, Sharon, Jamie, Yekyee, Judy and Susan. Items for auction and prizes to be given away!! Star table has Datin and Datuk Khoo, Datuk May Phng, well-known Journalist/Anchorwoman Lorraine Hanh from Hong Kong along with His Exellency, the ambassador of Singapore to Malaysia, Mr. Jasudasen here. 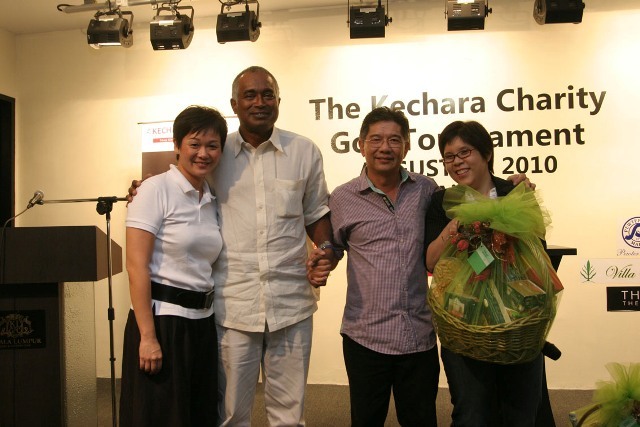 I thank all of our special guests for making this charity event for Kechara such a smashing success. Again I thank Datuk Khoo very much and his wife Datin Jennifer. And of course Jamie Khoo. 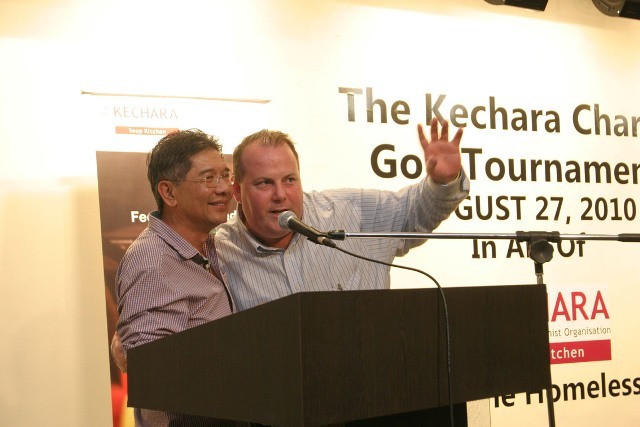 8 Responses to Kechara Charity Golf Tournament – A HOLE IN ONE!! Thank you Rinpoche and to all who have written with such kind and encouraging words to me and family; Jamie and I could not have organised such an event nor would it be possible without the support of so many volunteers from Kechara, the sponsors, donor participants and so many others who contributed even though they could not play, KLGCC staff and the presence of our special guests Lorraine Hahn, Michael Wang and HE Jasudasen, the High Commisioner of Singapore. There are several great lessons I’d learnt from organising this charitable events and they are firstly, the warm team spirit from the committee members (comprising Datuk May, Ruby, Sharon, Li Kim, Dato Mohan, Jamie and our very special friend, James Nicholls) and volunteers who sacrificed so much of their time and effort, and secondly, the unhesistating generousity of so many friends who willingly contributed so much even though they could not be with us on the day of the event. All these friends touched me greatly. There are indeed lots of kind, compassionate people in our midst. The merits gained from the funds raised should go to everyone who contributed in one way or other! May you all be well and happy always. It was wonderful to witness the love and support Dato Peter Khoo gave Jamie in organising such a wonderful event in such a prestigious Golf Club. Everyone had a wonderful game and a great time at dinner. 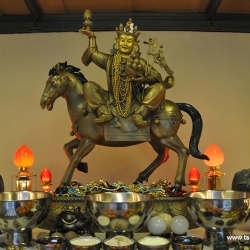 It truly amazes me how, Kechara can pull through some many “FIRSTS”. And this is our first charity golf tournament. 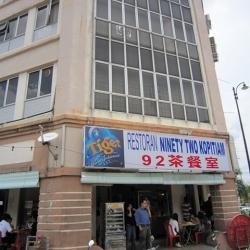 We shall have the next one in 2011. I wish to thank Jamie and Dato Khoo for this exciting and enjoyable event. Jamie, Great Job! Nothing is Impossbile, Right? 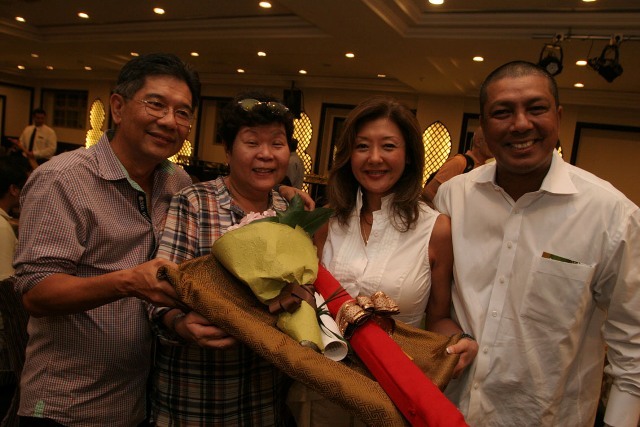 Congratulations to Jamie and her father Datuk Khoo and of course with the support of Datin Jennifer for yet another successful fun, fun, fun fundraising event…Kechara Charity Golf Tournament – A HOLE IN ONE!! What a fanastic way to raise funds for KSK and to create awareness of KECHARA!!! The fund raising golf event was a lot of fun and more so when it is for a worthy cause. 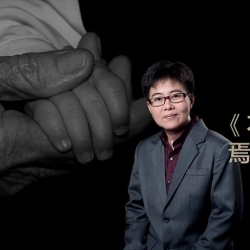 For KMP, besides work, it was an opportunity for us to spend time together. Our team members were given different roles to play in this event, and we all learnt and gained experience from this event. Volunteers like Bryan, Ethan & Jackson were on hand to help us out. Bryan wowed us with his creative floral arrangement for our auction table and prizes! I have deep admiration for Datuk Khoo and Datin Jennifer for their love and support for Jamie. It is with their kind support in putting this golf event together that enabled us to raise so much funds from this event. THANK YOU VERY MUCH DATUK KHOO! Most of all, thank you Rinpoche for your blessings always! 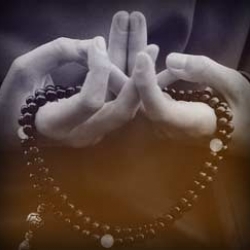 Being in a civilised state of being is all about how we balance our wants with the needs of others and our ability to give without being asked. Kechera a very worthy cause run by an outstanding and generous crowd. Datuk Peter Khoo who I have known for over 40 years since our school days in Kelang was more than a gracious host. 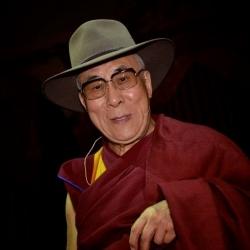 He showed how wealth, power and affluence can comfortably and seamlessly combine with compassion and the love of those in need. My gratitude to all including the extended family Khoo and all present. It was only meant to be a short stop over in KL for me. What a memorable night it turned out to be. Another feather to add to your ‘Dharma’ cap, Jamie. Congratulations to you and your father Datuk Khoo!Great show KMP for all the support. To organize a golf tournament to raise funds for our soup kitchen was indeed a daunting/challenging task. 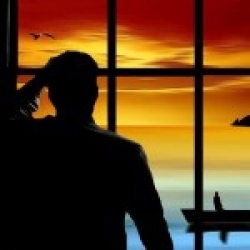 How challenging I found out from a personal experience. In an effort to get my (well-to-do)longtime friends (who’d asked a lot of questions about KSK and expressed interest in contributing to KSK)involved in our KSK, I contacted them and urged them to get their golf-playing husbands to participate in this event.I waited for a reply. One called to decline (understandably) because her husband had injured his knee.The others didn’t even bother to reply. It’s heartwarming to know that out there, there are people who care and want to show they care. Congratulations to Jamie and the Kechara Team for pulling off such a wonderful event. What a great way to raise funds to enable even more good work, and at the same time create awareness for Kechara. My guests were amazed at how committed the Kecharans were and how hard they worked (over 12 hours for almost all involved). 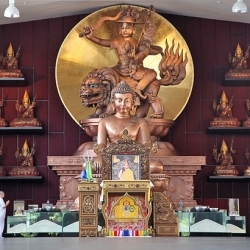 Lots of questions were asked followed by requests to kepp them posted of upcoming Kechara events. The Father-Daughter Khoo team up was very heart warming. Li Khim did her usual magic at the auction. 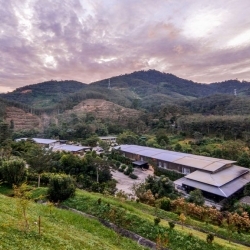 It was Kechara in full flight…Dharma In Motion. 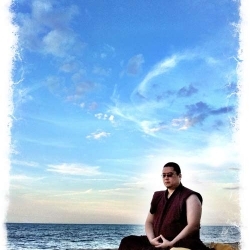 Rinpoche and Kechara is very lucky to have a student and member like Jamie. So young and so into Dharma. 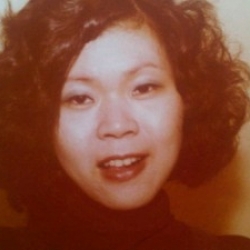 She is the only daughter of Datuk Khoo and Datin Jennifer. Three of them are very kind and very buddhist minded. 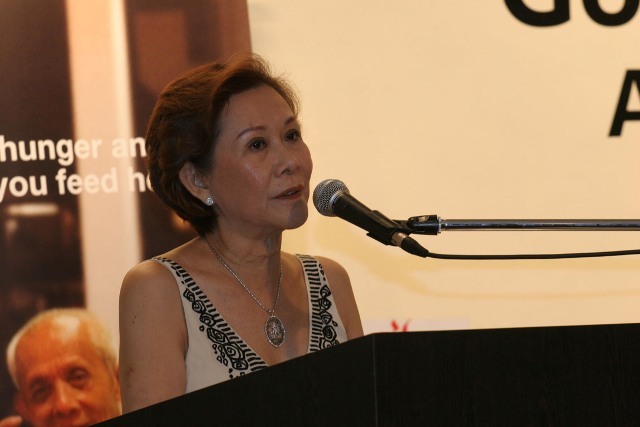 Jsmie is also the writer and author of her book CALL ME PARIS Her father Datuk Khoo has help to raise funds for KSK at the recent Kuala Lumpur Golf and country Club Golf Tournament. 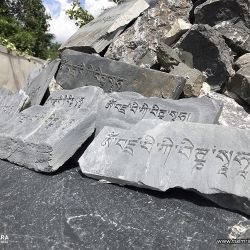 Rinpoche has also help by sponsoring some statues for auction wshich fetch RM111,500. Together with Datuk Khoo’s effort and hard work they have been able to raise RM300,000 for KSK to feed and take care of the homeless.